Have you performed a clean install of Windows 7 or have just rolled back the OS from Win10 to Win7? Is the touchpad detected in device manager? Is there any damage on the system? Do the touchpad button register a click? Update the BIOS - http://dell.to/28WKQHB- restart the system and check if it works fine. Reinstall the touchpad drivers from the same site and check. If the touchpad is not detected in device manager- then download the service manual from the support site link above - and reseat the palmrest cables and check if it works. suggested,I also don't know some of the answers to your questions. specifically for the N5010, the problem remains however. I have no idea what palmrest cables are! stop press...have managed to run diagnostics,the only fault that was reported,in Express test, was 'Error code OFOO:133D msg.disk-disk media is the wrong type,try another'. the extended test confused me so much at one point,just past the colour tests,that I pressed esc thinking it would move on to the next test,it didn't however,it stopped the whole test. Glad you were able to install the BIOS update. 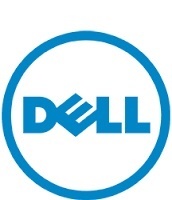 Download the touchpad driver here - http://dell.to/294SeP7 - install the same on the system and restart the machine and check if it works fine. For the diags - restart the system and keep strike the f12 key multiple times while on the Dell logo and it should take you to the boot menu and you could choose the diagnostics. Or you could turn off the system and press and hold the fn key + power button to turn it on and it should boot to diagnostics directly. I would need more info about the error reported - what device / component was this error on? I am sensing, after you have installed Windows 7, you probably did not install all required drivers. Go to control panel -> device manager - you will find device manager in control panel. If not, click on the start button and then type in device manager in search and it will list up device manager. Once the window is open, see if you find anything under other devices / unknown devices - these are the ones whose drivers are missing and need to be installed. If you are unable to isolate the unknown devices(if any), then send me a screenshot - right click on the unknown device (if any) -> click properties -> go to details tab -> change the property to hardware ID and send me that screenshot. Hello Rishi, I've downloaded the driver,it's called R257288,but there's no difference to the touchpad scrolling,I've also found four unknown devices and no driver's could be found for them. I'm afraid I don't know how to take a screenshot but did google the subject,I pressed prntscr, then tried to paste,nothing happened,I then tried alt+prntscr,and that didn't work either. I can tell you though that the first device was called BTHENUM ( etc ) and the others were all mf/deskjet,which must be printer related. Sorry I can't do more for now,please advise! Apologies for delay in response as I was off work on emergency leave. Click on my username and click on send private message or choose to send me an email. To get a screenshot, click on start button and type in search - snipping tool - click on new snip and select and drag the area to capture the screen and click on save and add the attachment when you respond. After you download the touchpad driver, does the installation complete? Does the application show up in control panel -> programs and features and under mouse devices / in device manager? I would need the hardware ID's, so I could help with providing the drivers required for the unknown devices. If they are all printer related, then you would need to install the drivers / software for that specific device.